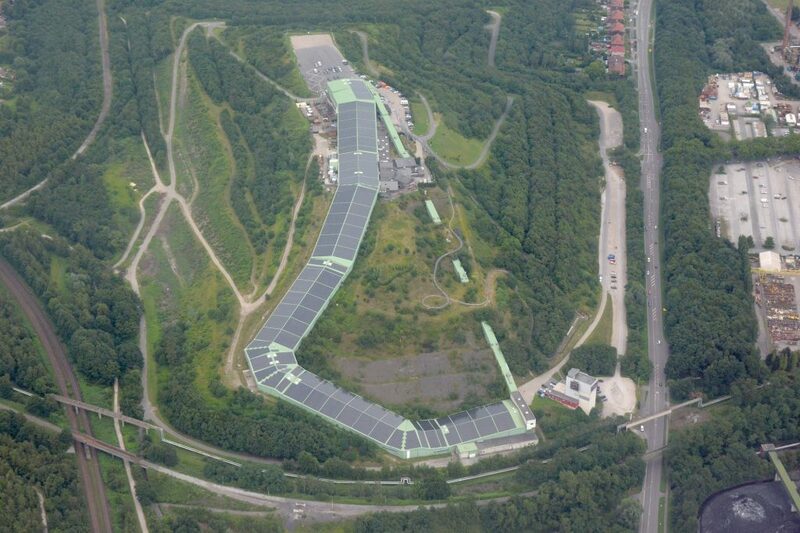 Reports from Germany say that the world’s longest indoor snow slope, the Alpincenter Bottrop, is subsiding. Plans to stabilise the structure by bringing in 400,000m3 of a spoil mixture have not proved popular with locals who fear the moves could endanger health. The problem at the 15-year-old centre is not new; roof supports were reinforced in 2011 after measurements indicated subsidence. In a move to signify the transition from coal to clean green energy, almost all of Alpincenter Bottrop’s vast roof is covered in solar panels generating clean power to provide refrigeration and other power for the complex.